The western phoenix has taken to flight with it. “It means that it is prohibited for other than a mujtahid to base his actions upon a direct text from either the Book or the Sunna even if its transmission was sound because of the sheer likelihood of there being other considerations such as abrogation, limitations, specificity to certain situations, and other such matters that none but the mujtahid fully comprehends with precision. Thus, nothing can save him from Allah the Exalted excepted following a mujtahid. He knows the [juristic] responsibilities through intellectual proofs unless a clear transmitted proof indicates otherwise. [The sciences of] grammar, prosody, philology, combined with those of usul and rhetoric he must master. According to the people of precision, [he must know] where the judgements can be found without the condition of having memorized the actual texts. [All of the above must be known] according to a middle ranked mastery at least. He must also know those matters upon which there is consensus. [Moreover, he must know] things such as the condition of single hadiths and what carries the authority of great numbers of transmissions; also [knowledge of] what is sound and what is weak is necessary. Furthermore, what has been abrogated and what abrogates, as well as the conditions under which a verse was revealed or a hadith was transmitted is a condition that must be met. The states of the narrators and the companions [must also be known]. Therefore, you may follow anyone who fulfils these conditions mentioned above according to the soundest opinion. So, consider all of the above-mentioned, and may Allah have mercy upon you, and [may you] see for yourself whether your companion is characterized by such qualities and fulfils these conditions—and I highly doubt it. More likely, he is just pointing people to himself in his demands that the people of this age take their judgements directly from the Book and Sunna. If, on the other hand, he does not possess the necessary conditions, then further discussion is useless. “Surely the following of our [rightly guided] Imams is not abandoning the Qur’anic verses or the sound hadiths; it is the very essence of adhering to them and taking our judgements from them. This is because the Qur’an has not come down to us except by means of these very Imams [who are more worthy of following] by virtue of being more knowledgeable than us in [the sciences of] the abrogating and abrogated, the absolute and the conditional, the equivocal and the clarifying, the probabilistic and the plain, the circumstances surrounding revelation and their various meanings, as well as their possible interpretations and various linguistic and philological considerations, [not to mention] the various other ancillary sciences [involved in understanding the Qur’an] needed. “Also, they took all of that from the students of the companions (tabi’in) who received their instruction from the companions themselves, who received their instructions from the Lawgiver himself, may Allah bless him and grant him peace, divinely protected from every mistake, who bore witness that the first three generations of Muslims would be ones of virtue and righteousness. Furthermore, the prophetic traditions have also reached us through their means given that they were also more knowledgeable than us through their means given that they were also more knowledgeable than those who came after them concerning the rigorously authenticated (sahih), the well authenticated (hasan), and the weak (da’if) channels of transmission, as well as the marfu’u4, mursal5, mutawatir6, ahad7, mu’dal8 and gharib9 transmissions. “Thus, as far as this little band of men is concerned, there is only one of two possibilities: either they are attributing ignorance to Imams whose knowledge is considered by consensus to have reached human perfection as witnessed in several traditions of the truthful Lawgiver, upon him be prayers and peace, or they are actually attributing misguidance and lack of din to Imams who are all from the best of generations by the testimony of the magnificent Messenger himself, may Allah bless him and grant him peace. Surely, it is not the eyes that are blind, but blind are the hearts in our breasts. As for their saying to the one who imitates Malik, for example, “We say to you ‘Allah says’ or ‘the Messenger of Allah, may Allah bless him and grant him peace, says’ and you reply, ‘Malik says’, or ‘Ibn al-Qasim says’, or ‘Khalil says’, for example,” our response is that the follower who says, “Malik says . . . etc.,” means that, “Malik says based on his deep understanding of the Word of Allah, or of the words of the Messenger, or of those firmly adhering to the actions of the companions, or of the tabi’in who understood clearly the Word of Allah and the word of the Messenger of Allah or took their example from the actions of His Messenger.” And the meaning of [a follower] saying “Ibn al-Qasim said . . .” is that he has [faithfully] transmitted what Malik said based on his understanding of the Word of Allah or of what Ibn al-Qasim himself understood from the word of Allah the Most Exalted. And the meaning of him saying, “Khalil said . . . .”, for example, is that he is transmitting only from those [Imams] aforementioned. 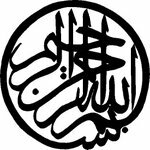 As for Malik and Ibn al-Qasim, they are both Imams whose spiritual and judicial authority is agreed upon by unanimous consensus of this Umma; and they are both from the best of generations. As for the one who leaves their leadership and says, “Allah said and His Messenger said . . . ,” he has relied solely on his own understanding despite the fact that he is incapable of having any precision in the verses and hadiths that he quotes since he is unable even to provide chains of transmission [with any authority], let alone that he lacks knowledge concerning the abrogated, the absolute and the conditional, the ambiguous and the clarifying, the apparent and the textual, the general and the specific, the dimensions of the Arabic and the cause for revelation, the various linguistic considerations, and other various ancillary sciences needed. So, consider for yourself which is preferable: the word of a follower who simply quotes the understanding of Malik, an Imam by consensus—or the word of this ignoramus who said “Allah said and His Messenger said . . . .” But it is not the sight that goes blind, but rather the hearts in our breasts. If you consider carefully the above-mentioned texts, you will realize that the one who censures you from following [the Imams] is truly a deviant. And I am using the word “deviant” to describe them only because the scholars [before me] have labelled this little band and their view (madhhab) as deviant. Moreover, you should know that those who condemn your adherence to the Imams have been fully refuted by Muhammad al-Khadir bin Mayyaba with the most piercing of refutations, and he himself called them, in his book, “the people of deviation and heterodoxy.” He called his book, Refuting the people of deviation of heterodoxy who attack the following [taqlid] of the Imams of independent reasoning, and I used to have a copy but no longer do. So, my brother, I seriously warn you from following the madhhab of these people and even from sitting in their company, unless there is an absolute necessity, and certainly from listening to anything they have to say, because the scholars have declared their ideas deviant. I ask Allah to make you and me from those who listen to matters and follow the best of them. 3. The foundational condition is that a human being is not asked by Allah to do anything other than those things which have a firm proof through the transmission of the prophets, peace be upon them, and that the human being is only accountable for those things in which there is clear responsibility. All other matters are considered permissible because of the lack of a proof indicating their impermissibility. 4. The transmission (sanad) goes to the Prophet (Allah bless him and give him peace) the hadith came from the Prophet (Allah bless him and give him peace). 5. A tabi’i related it from the Prophet (Allah bless him and give him peace); a companion (sahabah) is missing from the line of the transmission. 6. The hadith comes from so many sources that it is an absolute proof. 7. A hadith, that at some point in the line of transmission, has only one narrator. 8. Two people in a row are missing in the chain of narrators. 9. The narrator of the hadith is trustworthy, but no one else related the hadith. 10. The Dhahiriyya followed Daw’ud ad-Dhahiri’s madhhab.